First and foremost, Happy Deepavali to all those who are celebrating this festival of lights. I wonder did you guys notice that most of the Indian women have very thick shiny black hair? Aside from the 'thick' part which mostly caused by genetics, the shiny and healthy part is what keeps me wondering. The very least one can do to rescue their hair, is to do treatment to maintain hair's moisture, but you know, models don't earn much and I can't afford to visit hair salon every month. 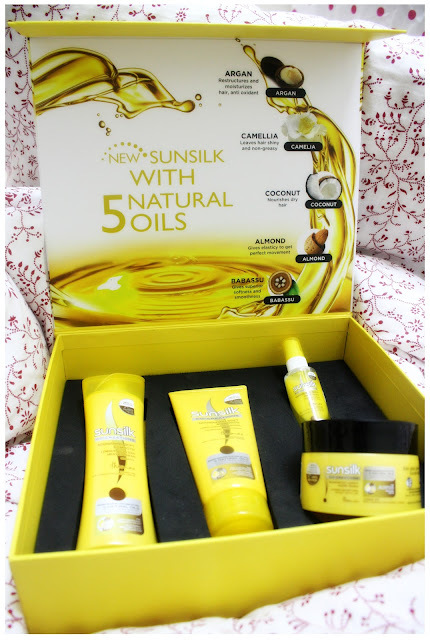 Thanks to the universe who heard my prayer and Sunsilk released this brand new product range called Sunsilk Nourishing Soft & Smooth which contains 5 types of essential oils to provide you an instant fix of dull and dry locks. 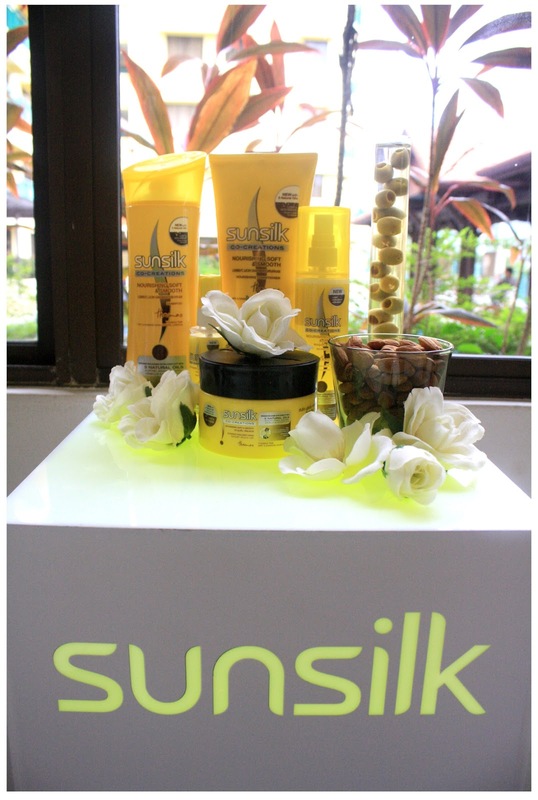 The All New Sunsilk Nourishing Soft & Smooth Range. 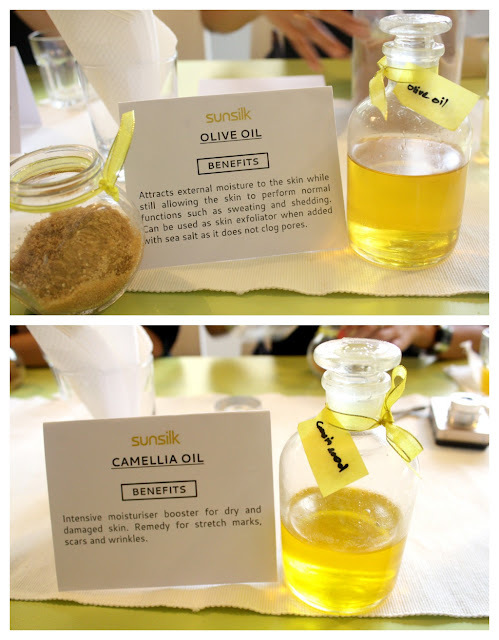 I'm one of the lucky bloggers who got invited to a high tea session with Sunsilk on last Saturday afternoon. Even though it's a bit cloudy and rained, but that doesn't stop us indulging in what Sunsilk has brought to us that fine afternoon - food, drinks, sharing and gaming sessions! Venue of the high tea: Croisette Cafe, located inside Cascadium Condo, Bangsar. 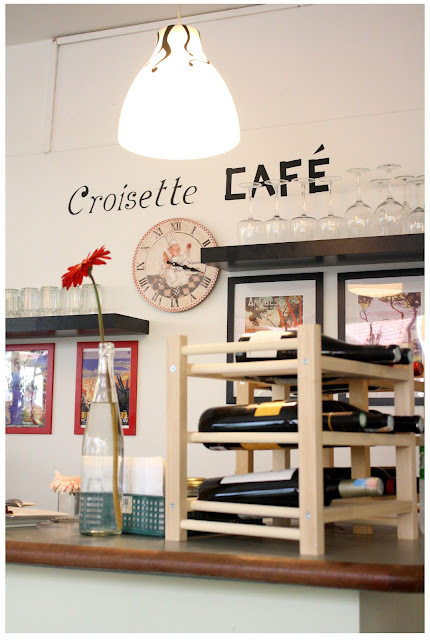 I never heard of Croisette Cafe before, but after the visit, I truly thinks that it was a hidden gem in Bangsar area for French inspired food. Its cozy, quaint lil Parisian settings brings me away and made me forget bout the stress a lil while, something much needed by me nowadays. 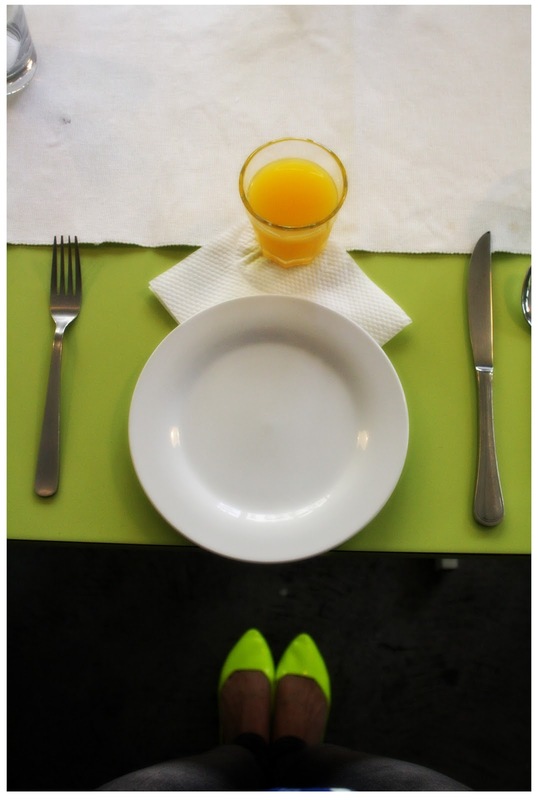 The only matching item on me that day - Neon yellow pump flats. 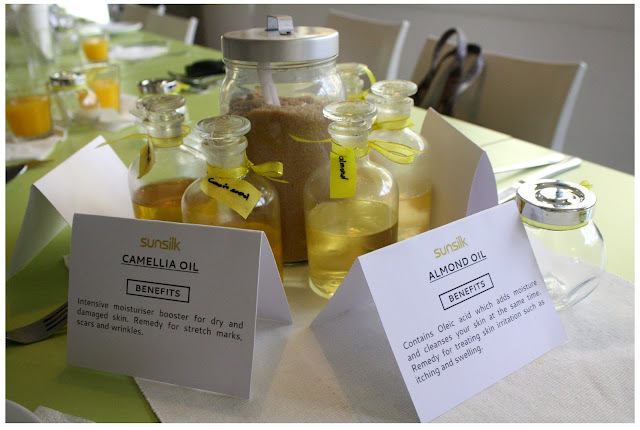 Spotted few jars of essential oil and one big jar of raw sugar, know what it is for? 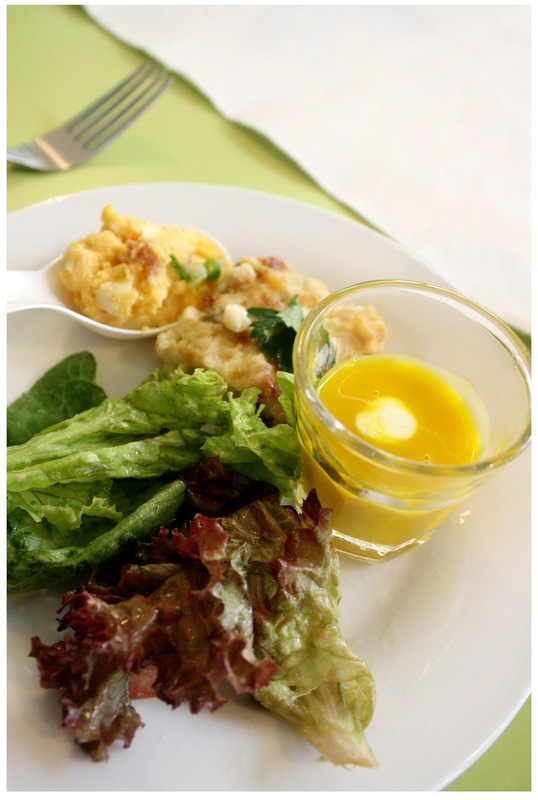 First thing to do, is to fill our tummy with all these yummy french delicacies. Even though I just had lunch before I head over to the event, I can't resist the temptations. Risking my weight just because I need to try them!!! Looks good right? They taste good as well! My portion lol. Personal favourite: Pumpkin soup! Had at least 3 of that. hahaha. Right after we finish eating, the emcee of the day - Jess made an introduction of what's the high-tea session about and introduced each and every special guests of the day. Mid-day hair slump isn't something strange to all of us, we've been there done everything we could but still facing it everyday. 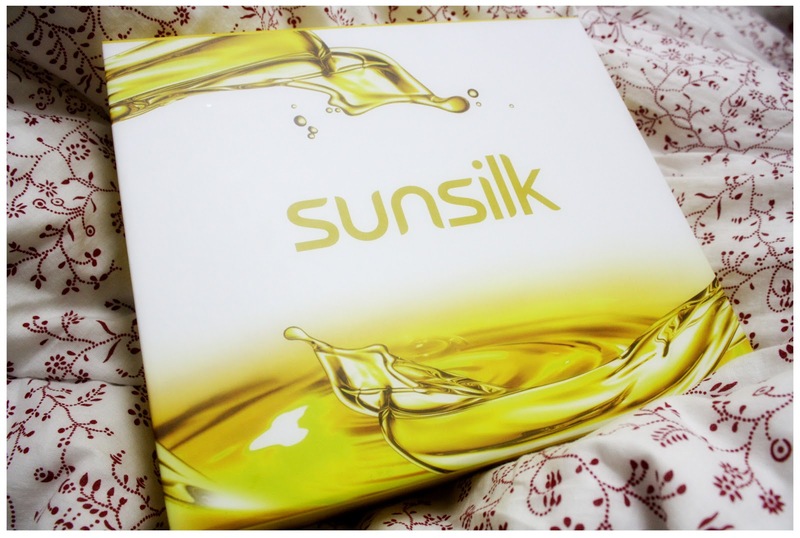 We wanna get out of it so bad, and here's the two new series of products from Sunsilk that came to the rescue: Nourishing Soft & Smooth and Smooth & Manageable range. With the perfect blend of 5 types of essential oils - Argan, Almond, Babassu, Camelia and Coconut oil for Nourishing Soft & Smooth and the other which blends Argan, Coconut, Almond, Jojoba and Olive Oil together, it will give us the irresistible silky smooth hair that we all desires! After a short introduction fo what's these 2 new product ranges are about, we're into the next programme: D.I.Y Body Scrub session and Mini Game! 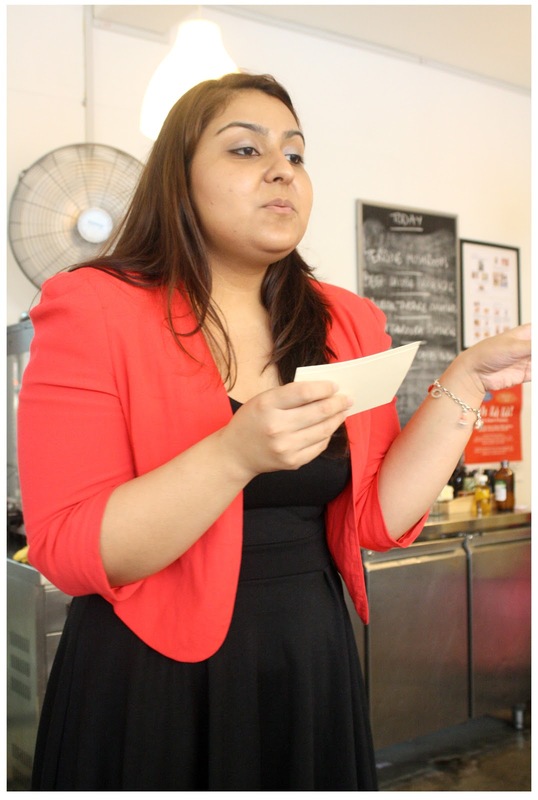 Reema who's gonna conduct the two sessions. 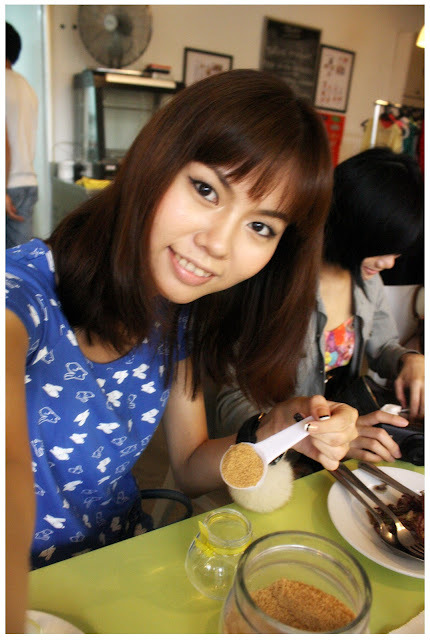 I am big fan of body scrub. 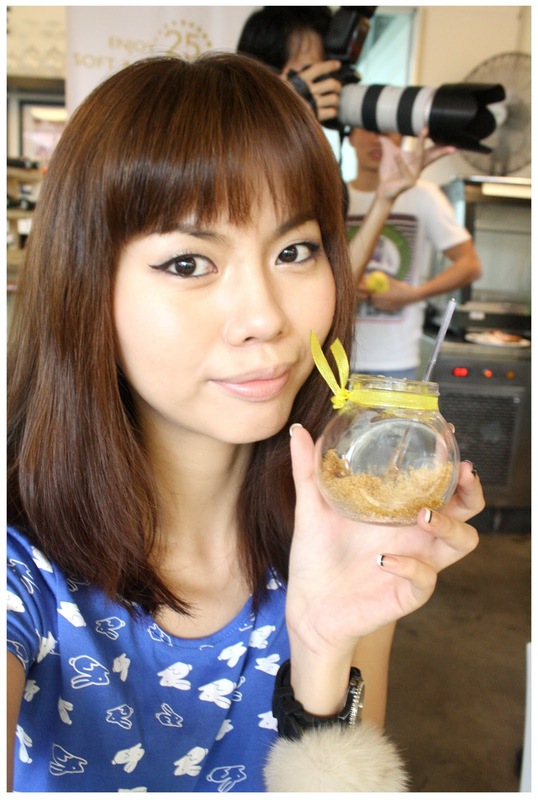 I do body scrubs 3 times a week because I love how soft and translucent my skin looks after the scrub session. 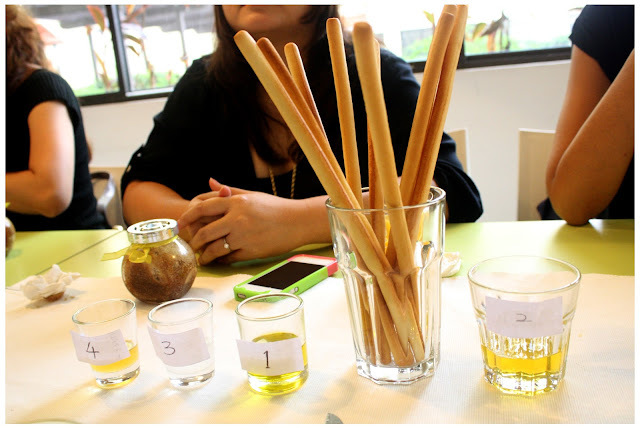 Feels so excited when I learned that we're gonna make our own body scrub during the high-tea session. I'm gonna show you how to do your own scrub as well through photos, you can easily make them at home. 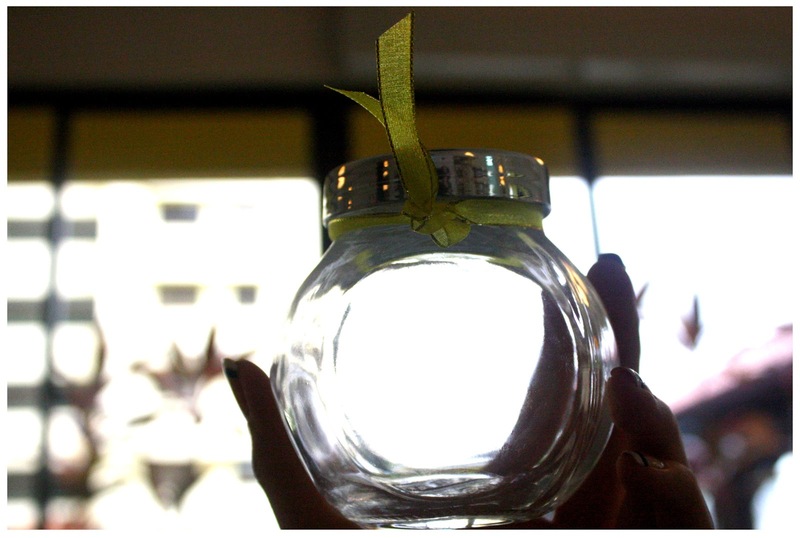 mini glass jar prepared for each of us to keep the scrub we've mixed. I used Olive and Camelia oil. There~ A quarter of body scrub done! Just continue adding the raw sugar and essential oils until it's full. Don't forget to stir well of the oil and raw sugar mixture too! Next, is a fashion sharing session, and a special guests which is a stylists were invited to share his point of view on how to match our hairstyles with the type of apparels so that overall we'll look more appealing with the outfit we choose to give us more credits on the 'head part'. lol. Apparels from Raeka Rae, F Block, Soda etc. I like the dip-dyed jeans shirt with studs so much! Black hair should avoid choosing black apparels as it quite hard to make your hair stands out from the rest (duh I'm sure you guys all know this) and for those short hair girls, decorated collars or shoulder part apparels look best on you because these details made your whole look pop! 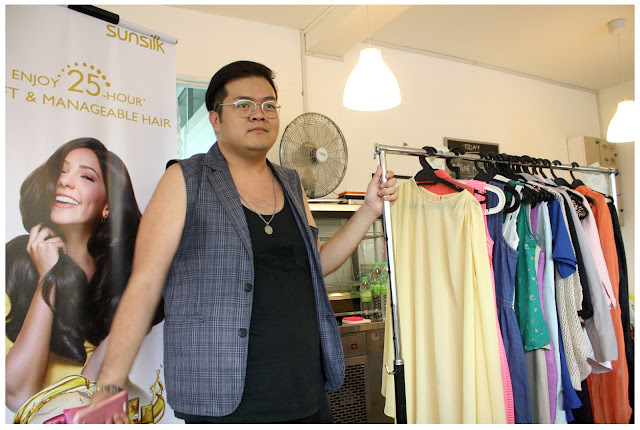 Thanks to Voon Wei, I learned a lot of do's and don'ts on how to match the outfit of the day with my hair's styling, hopefully it improves my apparels and hair styling mix and match skills. lol. 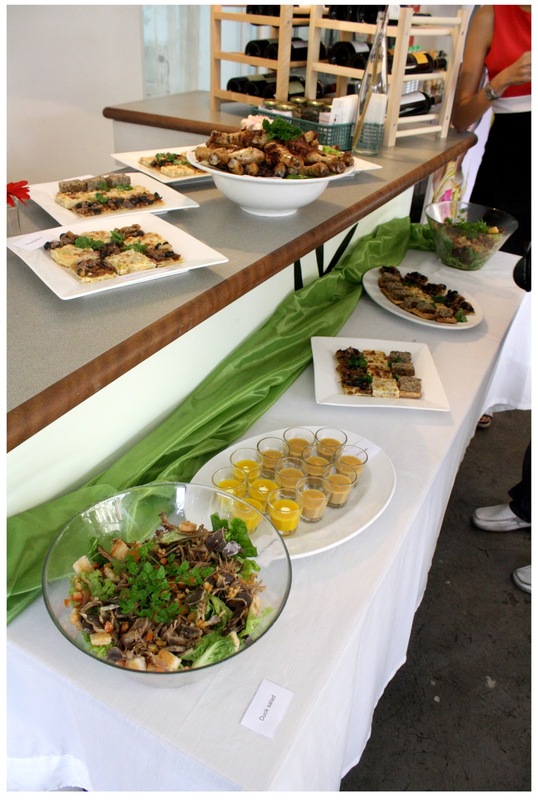 It was a very lovely high tea session that ended with lots and lots of desserts! I had this big piece of almond cake which I feel guilty after ate it because I'm supposed to be on diet for next Monday's important photoshoot! But ahhh~ I just gave in to the temptations boohoo. 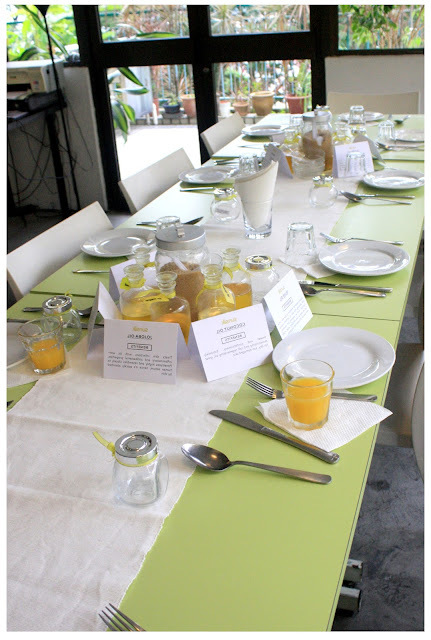 We had so much fun talking with other bloggers that day, met some bloggers whom I just heard of but never met them before, nice ambience, good food and drinks, it is such a pleasure time well spent with good companions indeed. 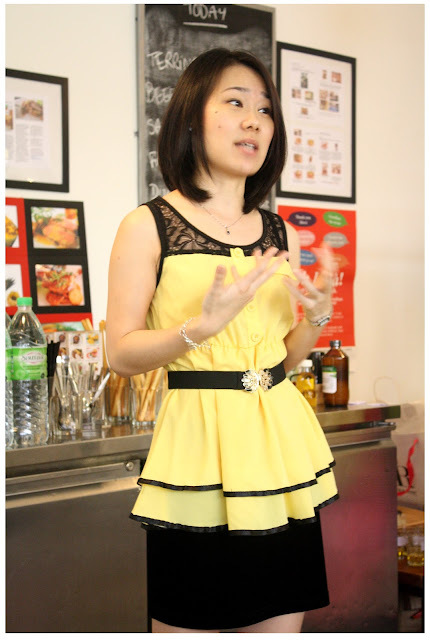 Thank you for having me at the lovely high-tea session. Sunsilk Nourishing Soft and Smooth, now with 5 type of natural oils and they smells sooooo good! I couldn't use the shampoo due to my scalp's sensitivity but I've used its conditioner, hair mask and nourishing spray for about an week and to be honest, they really nourishes my hair, kept my hair soft and moisturized than before. I think those natural essential oils really does their wonders! Whenever I need a boost of shiny soft hair in the late afternoon, I would just whip out the nourishing spray which is super convenient to bring with me anywhere anytime and spray it on my tresses, no more mid-day hair slumps for me from now onwards, thanks to Sunsilk! Try them now and experience smooth and nourished hair for the rest of the day yourself, you'll be amazed. Bonne journée!